Here are some examples of your gifts at work in 2018! I started pursuing my Bachelor Degree in 1988. Initially I was an Education Major, but after time in the classroom, I realized that teaching children was not my calling. 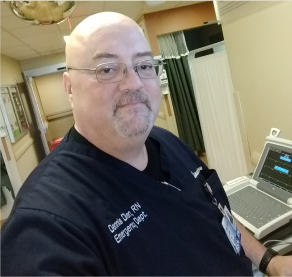 A few years later, I began working as an EMT, and then as a PCT in the Emergency Department at Virtua. I was drawn into the work and helping people, and it was then that I knew I wanted to be a Nurse. So I began taking courses, and in 2000 I earned my Nursing Diploma and my Associates of Science Degree from (NAME OF SCHOOL). From there, I enrolled at Drexel University in 2008. For the next 10 years I worked towards completing my BSN. The Spring 2019 semester is my final semester as an undergraduate student! As we all know, college tuition is very expensive – especially when each of my three classes this last semester are 5-6 credit courses. Any one of them alone would exhaust the $4000 tuition reimbursement that Virtua provides to full-time employees. But because I received a Virtua Nursing Scholarship, I was able to take all the classes I needed to this final semester, and will proudly earn my BSN in May 2019. I am very grateful for the scholarship assistance that helped me to achieve my goal and make a difference for my patients. One of the biggest blessings in our life has been Camp Oasis. When someone you love has cancer, it consumes your life 24/7. You cannot stop thinking about it. It is the last thing you think about when you go to sleep at night. It is the first thing you think about when you wake up on the morning. I thought Joe and I were the only ones thinking about it nonstop. I did not realize my kids were feeling that same way. Because they’re kids. What we realized is that they are carrying this heavy burden in a similar way to how Joe and I are. In March 2019, our kids went to the mini-camp on a Friday night. When we picked them up 2 ½ hours later, they were all beaming and so happy to have had such a fun night. Camp Oasis gives them time away to be kids, and for a few hours takes the fear and worry of cancer off their minds. We are thankful for Camp Oasis. We feel passionately about supporting Camp Oasis and their mission. We long for the day that we can view Joe’s cancer journey in our rearview mirrors, but we will always be thankful for the kindness and support of Camp Oasis and the many, many volunteers. Back in 2009, things were going along just fine. My kids were in high school, I was a very happy Virtua employee, and life was good. But then my husband found himself out of work unexpectedly, and we really began to struggle. We wanted to keep our heads above water, financially, and we wanted to ensure that our children didn’t have to carry the weight of worrying about whether we would be ok. I have always supported Virtua. In fact, I contributed to the Employee CARE Fund ever since it began. I just thought it was wonderful, the way Virtua employees could be there for each other and support each other in a time of need. Because we ALL have a time of need sometimes, whether it’s financial, emotional, professional or something else. Virtua employees care for one another. I applied for Employee CARE funding, and received a benefit far beyond what I had anticipated. In addition to the Employee CARE fund paying my PSE&G bill, so I was able to keep the power on, the fund administrators also met with me and my husband to provide counseling on budgeting and household finances. It was a lifeline that made a difference that is meaningful to me even now, ten years later. 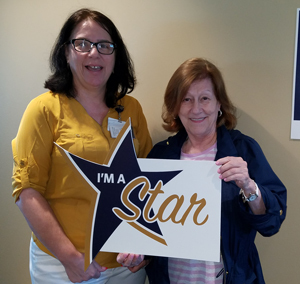 That’s why I serve as a STAR Captain – so I can give back and help all Virtua employees make a difference for our community and each other.